I found this to have a fairly standard set of features for a pan/tilt ip camera. Once you figure the operation everything worked great and I can't wait to find a place for this in my house. Many commenters on Amazon have pointed out there are some things missing in the documentation and no support to help you with them, I've included a bunch of helpful information I found on my own at the bottom of this review. Build- The camera itself is the standard size of any other pan/tilt ip camera: more than you'd want to hold in your hand but light enough that the included small wall-mount bracket can hold it without issues. It is made entirely of plastic but nothing about it is flimsy. Around the lens are 10 infrared LEDs that really light up the room, a light sensor, and a status LED that CAN be turned off. Also included is a power adapter and Ethernet cable. Function- If you just want to get this going fast the instructions give you the direct route to use it with your phone. 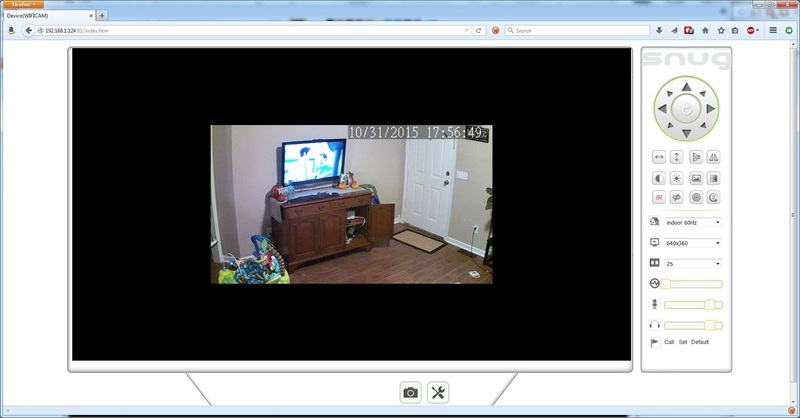 A quick app install and plugging the camera in to both power and your router should be good to go. Remember that you need to get into the settings and configure the wifi information before the camera can work wirelessly. The app allows you to control where the camera is pointing with swipes but I find arrows are just easier. Night vision works great and with the help of the infrared LEDs can see across a large room in complete darkness. It switches to that mode automatically once the light is to low and switches back once there is enough light. Once you get past the lack of documentation this really is a nice camera. Pan and tilt functions are great and the night vision works so well I may have it watching my yard. Sometimes you pay upward of $100 for these features so I consider this a bargain. I received this product free in exchange for nothing more than my honest opinion. -If the App can't find your camera even with it powered and connected to the router, you may need to go into the router settings and make sure a setting called upnp is on. It can't find it without that. 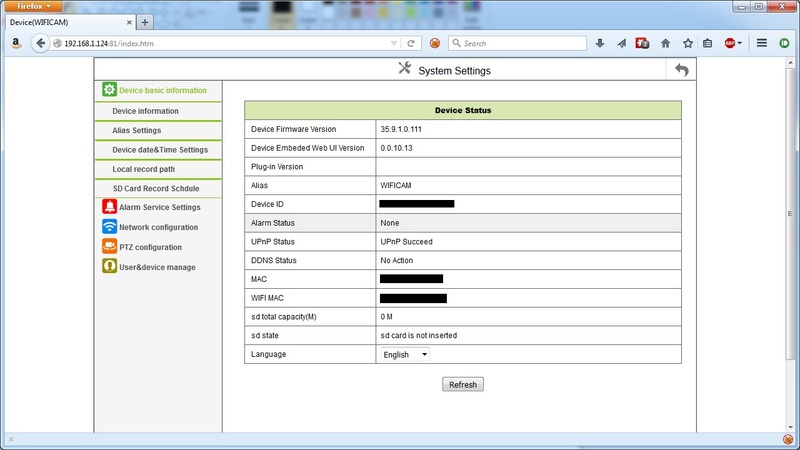 -I like to get my home automation system working with things and there certainly was a lot of documentation missing. After hitting the camera with Nmap I found port 81 was open on this camera. If you put your camera's ip address in your browser followed by :81 this will take you to the web interface(example 192.168.1.101:81). There are a couple options here but I chose the video stream mode. From here you can find the tools menu at the bottom which opens up many more settings than can be found in the app. I still haven't figured out the telnet login to the camera so if you find it drop me a comment.